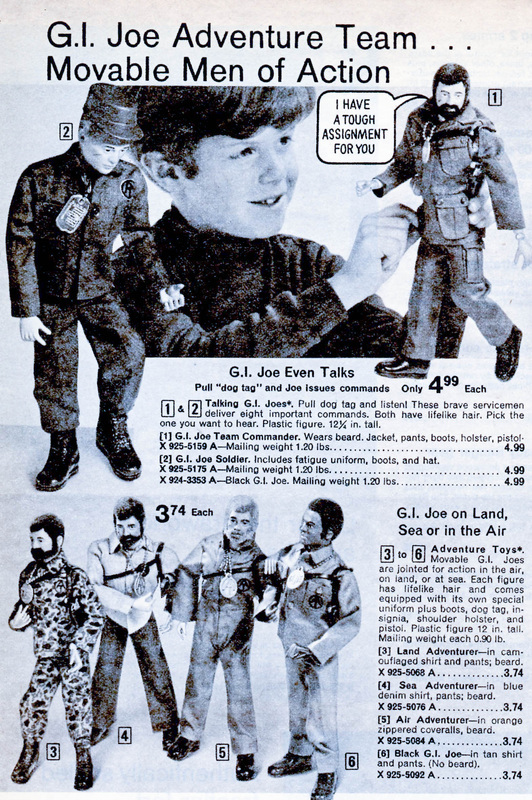 The transformation that began with the 1969 sets was brought to fruition with the 1970 debut of the GI Joe Adventure Team. Despite a slight military overlap created by the Man of Action, GI Joe had firmly stepped into the realm of international adventure. The transition may have been a result of unpopularity of military toys created by public sentiment against the Viet Nam war, or may have been an effort to revitalize what toy buyers saw as a stale line. Either way, with his new AT symbol and flocked hair (initially used by British licensee Palitoy), GI Joe was ready for Adventure! Click on an image to load the spin, or use the button to go that figure's page. The first issue of the figures on sale at Wards, alongside Irwin Vehicles, knock-off sets, and a Stony Smith footlocker. Below that, the ad from Penney's. 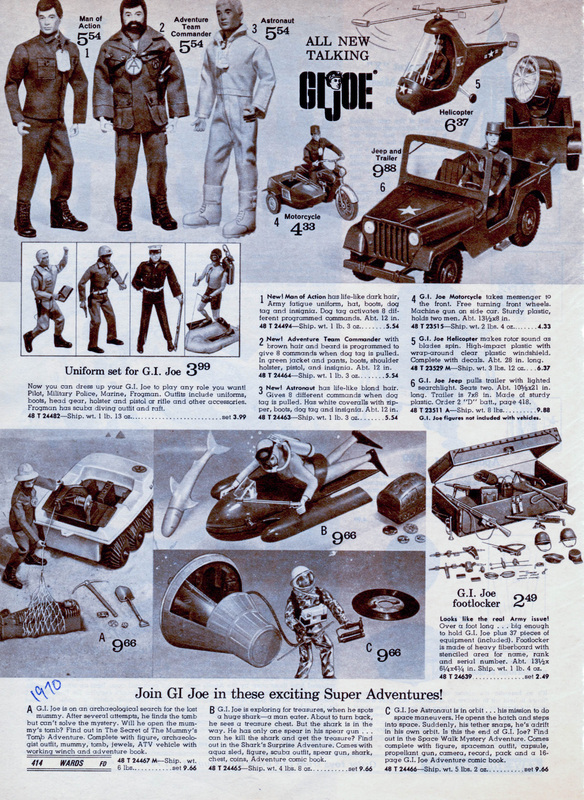 Note the Black soldier listed (but not shown) in the Penney's ad. I'll take 100 at $4.99 each!